Earlier this month, Mr. Cliff Staten submitted a resignation letter to the Human Rights Commission. Mr. Staten will be moving to Florida and will no longer be able to serve on the Commission. In order to fill this vacancy, Mayor Gahan is pleased to appoint Mr. Kenneth Brooks to serve on the Human Rights Commission. 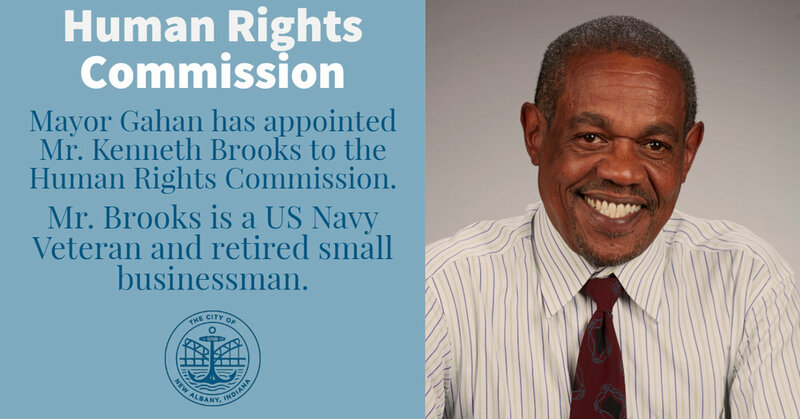 Mr. Brooks is a U.S. Navy Veteran and a retired small businessman.